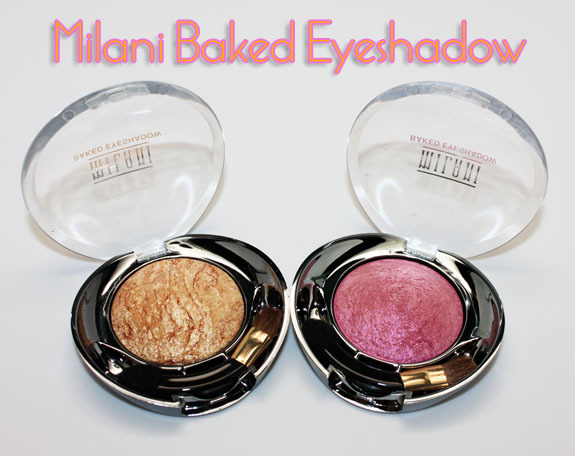 Have you tried the Milani Baked Eyeshadows yet? If not, you might be missing out on some pretty cool stuff. 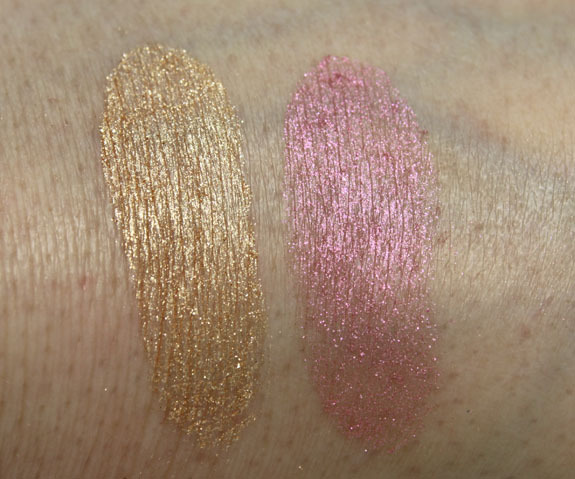 These eyeshadows come in both a marbleized finish and metallic finish. The marbleized shadows feature multiple colors made to resemble Italian terracotta tiles. The metallic ones are rich, and have an ultra metallic finish. Both of these colors are really quite saturated and very pretty, and I love them together actually. Drench In Gold especially is such a gorgeous intense shade of gold. Pink Twice has a very slight almost gold look to it in certain lighting, which you can’t really see here. 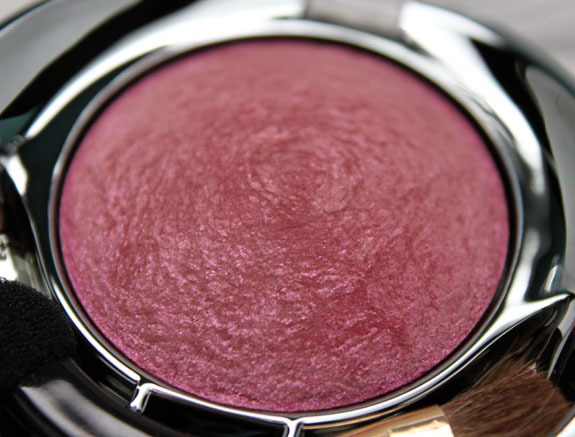 These shadows can be used either wet or dry and when you use them wet, you get even more intense payoff. Some of them do have a little fallout if you use them dry, but nothing like a loose pigment might have. I reviewed some of the marbleized ones awhile ago here and really liked them then, and still like them now. I definitely want to check out more of the metallic ones as well! 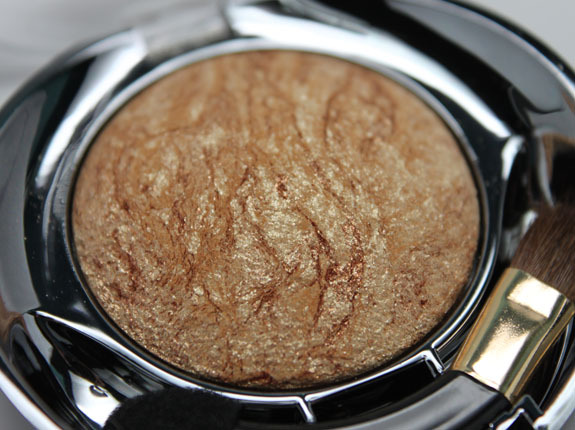 Have you tried Milani Baked Eyeshadows yet? What did you think of them? Get Your Brows in Shape with Benefit Cosmetics Brows a-go-go, High Brow and Instant Brow Pencil! I don’t know this brand at all, and I see I’m missing out! That Drench In Gold shade is gorgeous! Medly, Drench in Gold, Pink Twice and Teal the Truth all sound lovely. I love baked eye shadows. I haven’t tried Milani’s brand yet. I have many of Laura Geller’s which I love. I love Milani, I have 4 of the baked marbleized colors. I bought Together 4ever after your last review, it’s so pretty. Now I’m loving the look of Pink Twice, it’s beautiful! I’ve been on a bit of a pink kick lately, which is kind of odd for me, I’m not much of a pink girl generally. Anyway, Pink Twice looks so much different on the skin than I though it would, might have to grab it up. I caved and ordered Pink Twice as part of my Cherry Culture 20% off order, so pretty, can’t wait! They look like they’d be highly saturated. I’ve loved my Milani shadows from the past, so these shouldn’t disappoint. Drench in Gold is so gorgeous! I love gold colors. Both of those colors are gorgeous! Really pretty and spring-like. I can totally see what you mean about the gold in Pink Twice- it’s got lovely depth. And you should know that I’ve made pasta SO frequently this month…it’s almost as though I got a “hypnotic suggestion” somewhere…. I wonder where that might be….